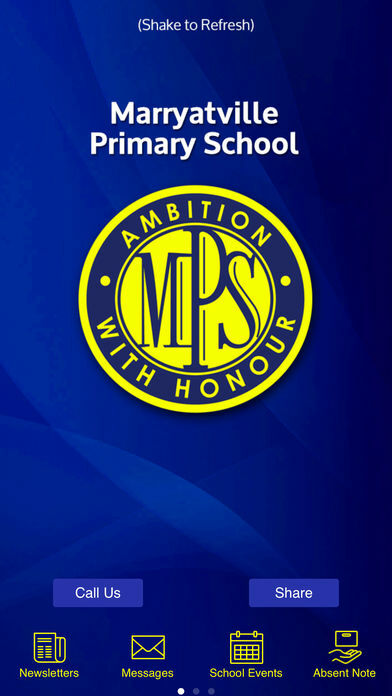 MPS mobile App is available for downloading from the iTunes or Google play store. It is FREE and was custom built to serve the needs of the school community by enhancing communication between the school and our families. Marryatville Primary School is a vibrant, supportive and caring community that provides an extensive range of educational opportunities and experiences. This is enabled through a team of teachers who are dedicated to the education of children and young people and truly understand learners and their needs. We value the partnerships between our parents, staff and students, as through nurturing strong relationships we can provide the best learning outcomes. We know that our young learners need to run around, to climb and explore, to be active and on the move and that they learn best when they are making and doing. We also know that all learners will make mistakes and that we need to be there to assist them to make good choices. At Marryatville Primary School we encourage our children and young people to try to become the very best they can be in all areas. We acknowledge that all learners have strengths and it is through trying new things and a variety of activities that our children and young people will be able to identify what they are good at. This, coupled with quality programs that intentionally build students’ wellbeing and resilience, enables students to flourish and make a positive difference now and into the future. Marryatville Primary is a school which provides for all learners, no matter what their area of strength or expertise. We have an outstanding academic program, a broad sports program, an excellent music program, and a strong strength and values based education. We look forward to working in partnership so your child can flourish at Marryatville Primary.